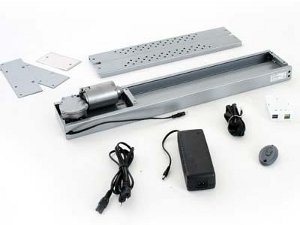 The TS460 TV Lift Mechanisms is designed for small LCD and Plasma screens or monitors. 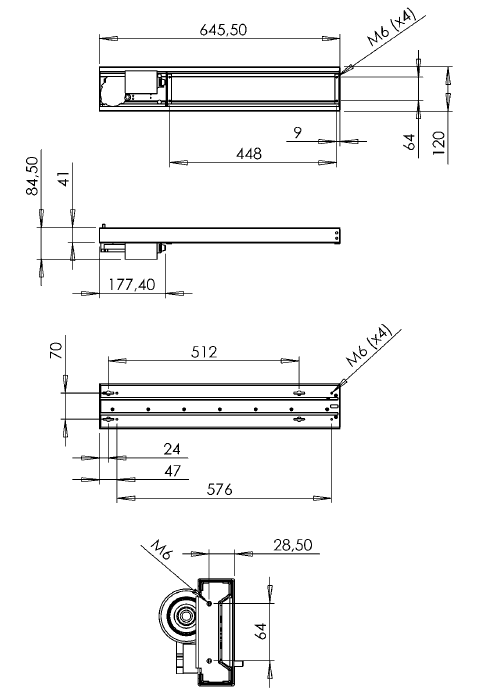 The lift has an incredible stroke compared to the required build-in height for your cabinet or ceiling. This makes this unit usable for installation almost everywhere. The stroke can also be adjusted to limit the stroke height and/or the stroke drop. The TS460 can be used to raise your TV from custom furniture or lower your flat screen TV from the ceilings. The TS460 is also used in Kitchen cabinets and to raise speakers of monitors from desks. The unit comes in raise mode but there are full instructions included to reverse the TV Lift Mechanisms. If your in any doubt please call 0845 474 1476.
maximum screen size up to 30"